As the NFL season enters the month of December, there is much to be settled. The Cowboys sit poised with an 8-4 record and their playoff destiny laid out before them: 3 wins and you are in (probably), 2 and it’s close, 1 and it’s highly unlikely. But no matter how the next 4 games go, the off-season looms ahead ominously and demands a game plan all its own. So let’s take a preliminary look at the road to 2015 and what questions must be addressed. This option is a little scarier as it charges more money to future salary caps and may come due sooner than the team would like. This list includes players like Romo (injury), Sean Lee (injury), Carr (performance), and Witten (age). 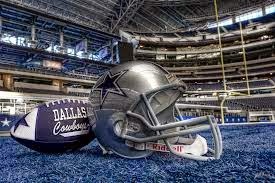 The Cowboys have shown no hesitation to exercise this option in the past and I expect that trend will continue, though I think they might want to “start the clock” on some of the money owed to Brandon Carr and Tony Romo just in case their level of play goes south quickly. With this team’s limited depth and shaky draft track record (though remarkably better under Will McClay’s tenure), letting starters walk has not been this team’s usual “process.” Candidates in this category include Dez Bryant, DeMarco Murray, Doug Free, Ron Leary, Cole Beasley, Rolando McClain, Justin Durant, Bruce Carter, Sterling Moore and Henry Melton is they exercise his out clause. We will address this in the next section. 1. Sign Dez – I know there is much concern about his off-field life, but a true playmaking WR is not as easy to find as some think and is a necessity in today’s pass-happy NFL. I’d be shocked if Dez is wearing any other jersey than a blue 88 next year. 2. Address RB, either through Murray or Adrian Peterson – The wear and tear that Murray went through this season does not bode well for his career long-term. However, letting the MVP of your previous season walk for nothing won’t make fans happy. We all know about Jerry’s “flirtations” with Peterson prior to his suspension. I think the Cowboys should sign one of these two RBs, probably whichever one comes cheaper. 4. Sign Ron Leary to a short term deal – Leary is a monster on run-blocking and a liability in pass-protection. In addition, Leary came into the league with balky knees which is why he went undrafted. Bring him back on the cheap for continuity only and look to upgrade their next year. 5. Of LBs Durant, McClain and Carter sign 2 cheapest – With the hopeful return of Sean Lee (finger crossed) and the emergence of super-sub Hitchens, The Cowboys need at least 2 starters and a quality backup. McClain has been a find, but might want to cash in on his success. Carter has proven serviceable on the strong side and might be had on a 1 year “prove it” contract. Durant was the team’s best LB prior to injury and has hopefully found a home in Marinelli’s D. Sign the cheapest 2 and let the other walk, addressing that position further in the draft. 6. Wait til the draft – After these moves, I might wait until the draft to fill in the gaps. Guys like Hayden, Selvie, Moore, Dunbar and Brent can be brought back or replaced at minimum costs. Generally, I think going into the draft you want to have 3-4 real positions to fill. Your 1st round pick should be a day one starter or immediate contributor (except for a QB), your 2nd and 3rd rounders should provide premium depth in rotation and develop into starters and your 4th and 5th rounders are more developmental or have flaws that can be addressed. The order in which these needs are addressed then becomes a function of draft position, positional strength and value. Being able to get quality at each pick is the primary goal, though sometimes that means taking value over position or maneuvering to get in the best talent tier. Looking at the 2015, it is very difficult to assess position strength without knowing which underclassmen will declare. In recent years, the overwhelming number of junior or even RS sophomore declarations have dominating the early rounds and I don’t expect that trend to decrease. In part two of this post, I will take a harder look at the players that may be available in the draft and their evaluations as of today. As we see every year, player’s stock can rise and fall quite a bit before draft night, but it’s good to get a rough estimate before the process begins.